I have a son who wants to be an astronaut, so I’m always attracted by anything space-related and this sounds fantastic. The National Space Centre, based in Leicester, is going on tour with its new astrocamps. They will combine workshops, rocket building challenges stargazing. They sound good, don’t they? Their first destination is the Dandelion Hideaway in rural Leicestershire which has six cottages and take place on June 6th. It sounds right up our street. Talking of up, the Shard is offering free admission for children during May half-term (bank holiday week). It’s a glorious place to enjoy sky high (well, almost, as it is the highest vantage point in Western Europe) views of London and they are also running a special Top Trumps London landmark “game” where you need to pick out London landmarks from the viewing gallery. Tickets for adults cost £24.95 and as kids’ tickets are usually £18.95, this is a rather attractive offer. This is another which is right up my son’s street as Warwick Castle challenges kids (and their parents) to take part in Wicked Warwick, a show from the makers of Horrible Histories. It’s X Factor meets Horrible Histories, in fact, as you enter (via the Warwick Castle website) and then audition live during half-term, on 27th May. Everyone who registers will receive a 2-4-1 voucher, but the winners will perform in live shows at the castle in June!! Such fun, especially for aspiring actors. If you’ve got younger children, you need to head to the Tower Bridge Exhibition this weekend (16th May) where they are running free family learning events, including storytelling performances and art activities. There is even the special tale – based on a true story no less – of the double-decker bus which jumped the Bridge as it opened in 1952. This will be performed four times throughout the day, from 11.30 to 3pm. It’s perfect for kids aged around 5-8 years old, but adults will enjoy it too. Make sure you take in the Glass Floor which gives you a remarkable view of London, from 42 metres above the Thames. I think you’ll enjoy it as the views really are superb. Have a great time! friend of mine is going glamping in Warwick Castle – will make sure she sends you a review!! Lots of great ideas. I’d love to visit Warwick Castle, it looks so lovely. Lovely suggestions – glamping and space would be an ideal combo for my son too. The warwick castle event sounds fab, thanks for sharing. Oh I think that a trip to Warwick castle is in order! I hear Warwick Castle has dungeons so we may go there soon as it’s not far and we have Merlin passes. If you go, let us know what it was like! What great sounding events! I love the sound of the glamping place and we’ve yet to make it up the shard but have a couple of London trips planned so thank you for sharing! Oh, free entry at The Shard – that’s brilliant. Some brilliant idea for keeping the kids amused this summer. Horrible Histories are our favorites!!! 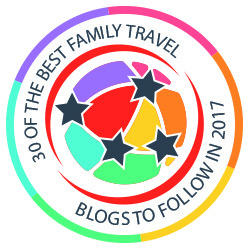 Another great post – we are happy to have found another great family travel blog to follow 🙂 Looking forward to reading more about your adventures! Thank you! That’s lovely of you. The star gazing sounds fantastic. Warwick Castle is on our list for this half-term, London will have to wait. Thanks for reminding me about the Space Place again, must take our girls there! I love the sound of the astrocamp, my nephew would love that, he loves the planets and stars etc.